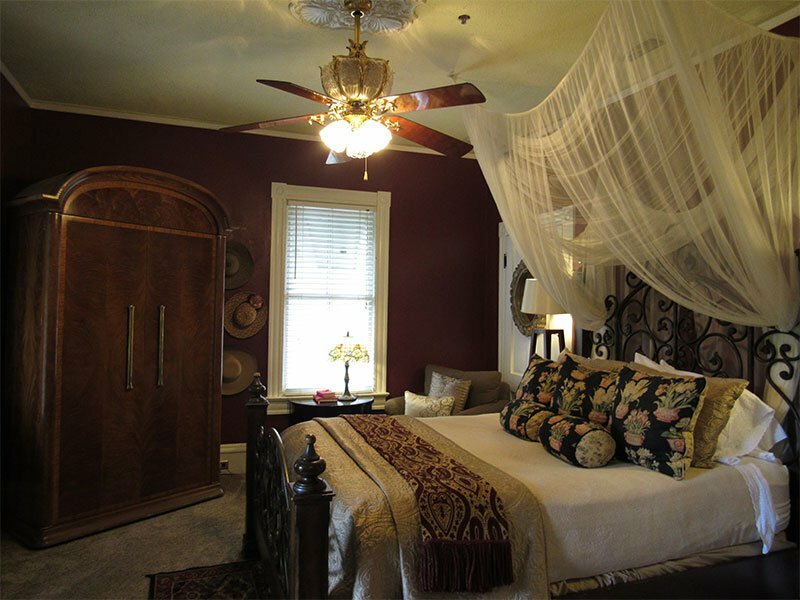 Located on the second floor of the main Victorian house, the suite features Henredon furniture, an electric fireplace, armoire with cable television, a four-poster queen-sized bed, elaborate Victorian paddle ceiling fans, a large closet, and an enormous private porch that overlooks Cedar Street. 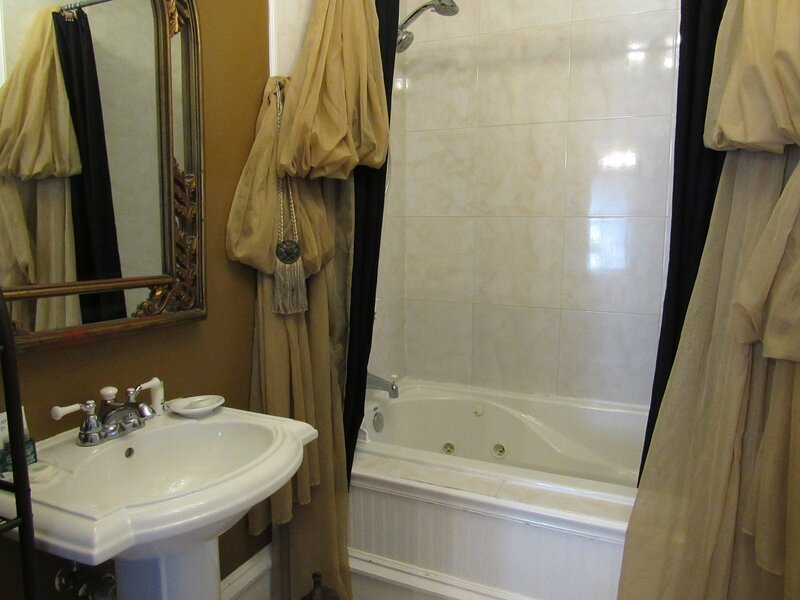 The large modern bath has a Jacuzzi whirlpool tub shower combination. 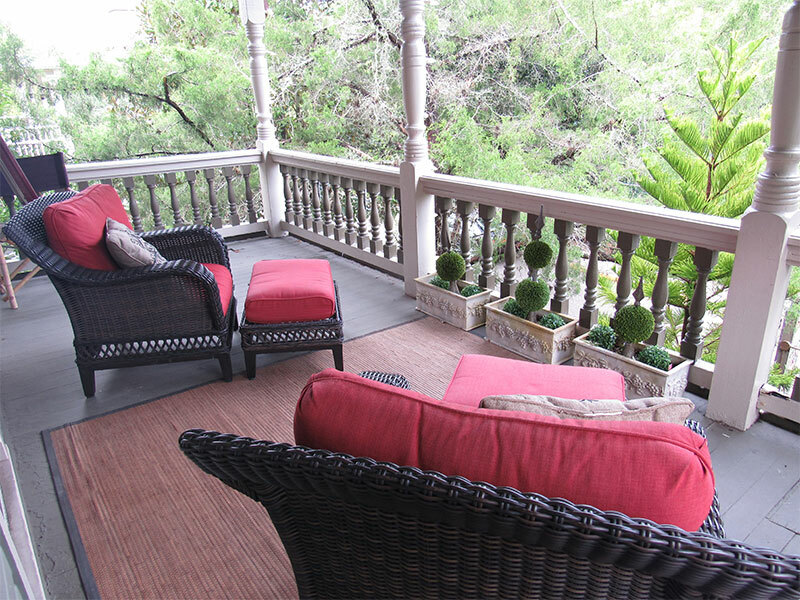 This Suite can accommodate two guests.